Supporting the Arkansas City area art environment, the late Virginia J. Wilkins established the Wilkins Foundation Grant prior to her death in 2012 to provide “a quality cultural environment of arts, music, language and other endeavors. As a result of the grant, Cowley College was one of seven Arkansas City organizations awarded grant disbursements in 2014 for the enhancement of arts-related activities. Cowley College was awarded $72,330 to finance vocal and musical arts, including a jazz initiative to attract visiting guest artists, marketing equipment needs, and materials for seminars and workshops for Cowley College. They also were able to purchase graphic design equipment for the visual arts and provide assistance for the school’s theater program. According to Cowley College theatre director John Sefel, the Wilkins Foundation Grant was the primary funding source that allowed the school to take more than 20 students to Louisville, KY to the Humana Festival of New American Plays. Sefel describes the festival as “basically the theatrical equivalent of the Sundance Film Festival — it’s where the newest and most exciting plays debut, and it’s a great chance to bump elbows with professionals from throughout the industry. There were all kinds of great moments–like when Cowley sophomore Malaree Hood’s favorite actress from the TV show “Orange is the New Black” appeared in one of the plays, and Hood was able to ask her questions after the performance, or when several of the school’s top technical theatre students were able to meet individually with the festival’s technical team. “Although seeing four amazing world-premiere productions was a great experience by itself, I think getting to make these connections and gaining a first-hand look at exactly how professional theatre operates was an educational experience that our students desperately need, and one we couldn’t have given them without the Wilkins Foundation,” Sefel said. Also through the support of the Wilkins Foundation, the college has been able to create “Advanced Stagecraft” as a new course offering and was able to start a pilot attempt at the class during the spring semester. The long-term goals for the class include applying technical theatre skills to non-theatrical settings, including fabrication and design for theme parks, children’s play areas, commercial expo centers, and more. The Cowley College music programs recently received $27,000 in grant money from the V.J. Wilkins Foundation. According to Director of Instrumental Music, Josh Fleig, the funds will be used to strengthen and broaden the applied studies offerings for both instrumental and vocal students at Cowley and to establish the Cowley College Jazz Initiative. The applied studies program at Cowley provides weekly private music lessons to approximately 60 instrumental and vocal students each semester. These private lessons are taught by full time Cowley faculty as well as additional adjunct faculty. Cowley music students will begin benefitting from the $12,000 applied studies grant in the fall semester of 2015. The Cowley music programs also received a $15,000 grant which has been used to establish the Cowley College Jazz Initiative. 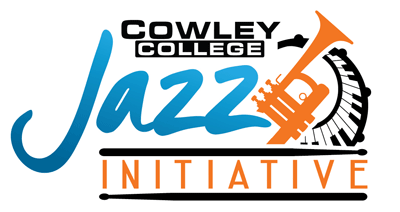 The mission of the Cowley College Jazz Initiative is to promote the art of jazz music in Cowley County and the surrounding area by providing educational experiences to students and teachers, presenting professional jazz artists in concert, and expanding the jazz audience within the community. The Jazz Initiative’s first guest artist was the Mary Beth Quintet, led by local talent Mary Beth Byers. The group opened Cowley’s final jazz concert of the school year on Tuesday, April 28. The big event in the fall semester will be a performance by guest artists, the Doug Talley Quartet. Talley, a well-established jazz talent of the Kansas City area, will bring his quartet to Cowley on Friday, November 13. Fleig is looking forward to bringing the Doug Talley Quartet to Cowley. Cowley College has also recently created the Wilkins Foundation Scholarship & Brown Center Internship. As of this fall, the college will offer a new scholarship, creating an internship for a student interested in venue management and technical theatre. This position will not only allow the college to create new educational opportunities for students, but will help provide additional benefits and services to all who use the Brown Center.